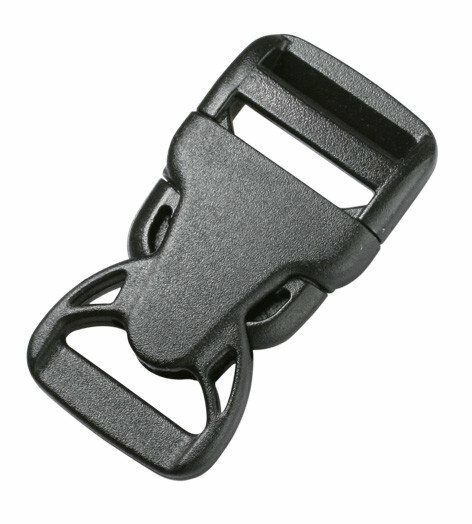 The perfect design for a side release buckle. 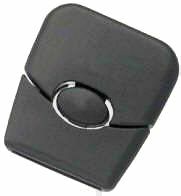 This buckle has a shield that covers the release points eliminating the chance of accidental opening, keeping everything securely in place. 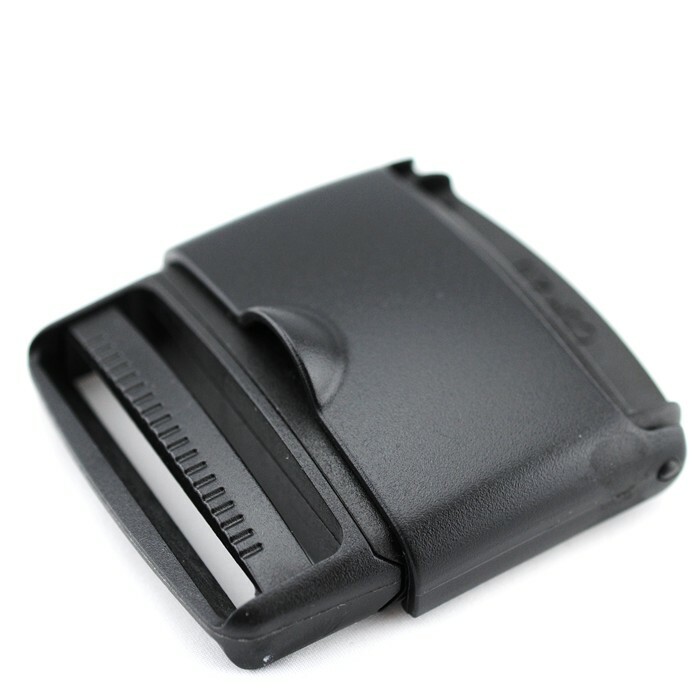 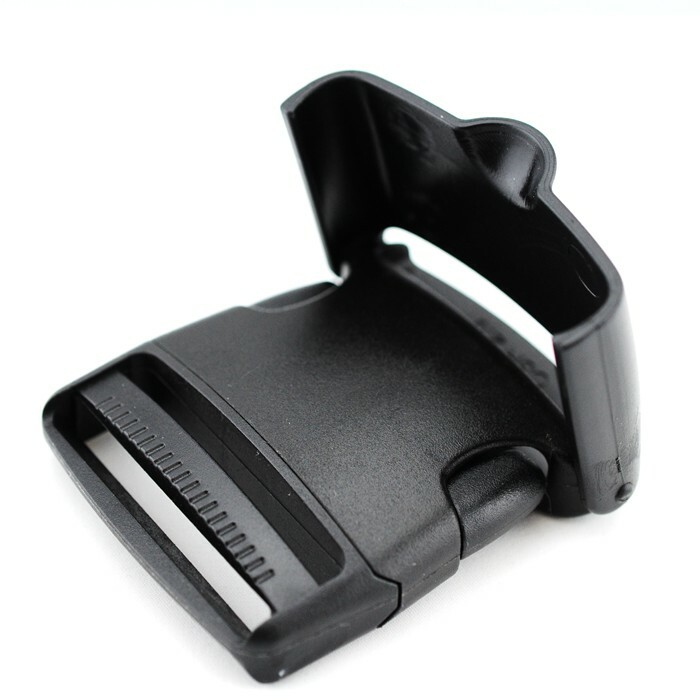 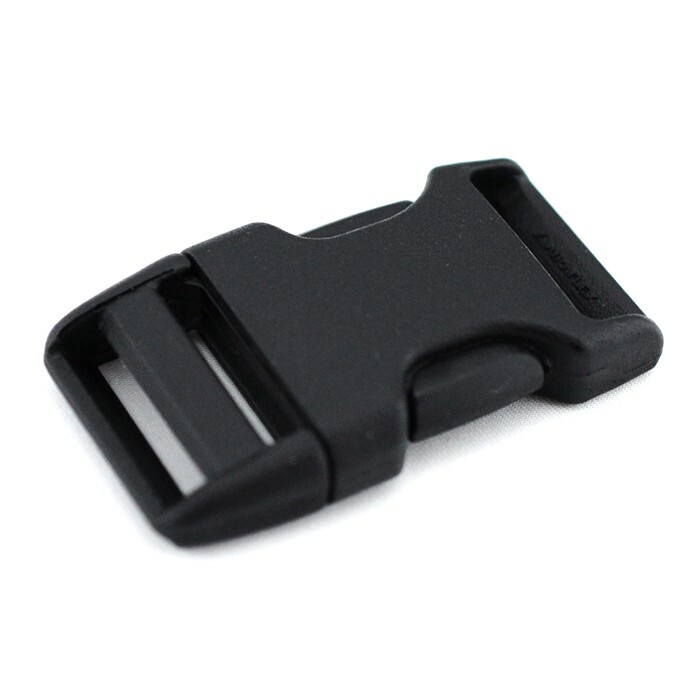 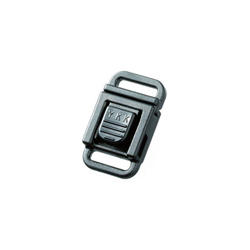 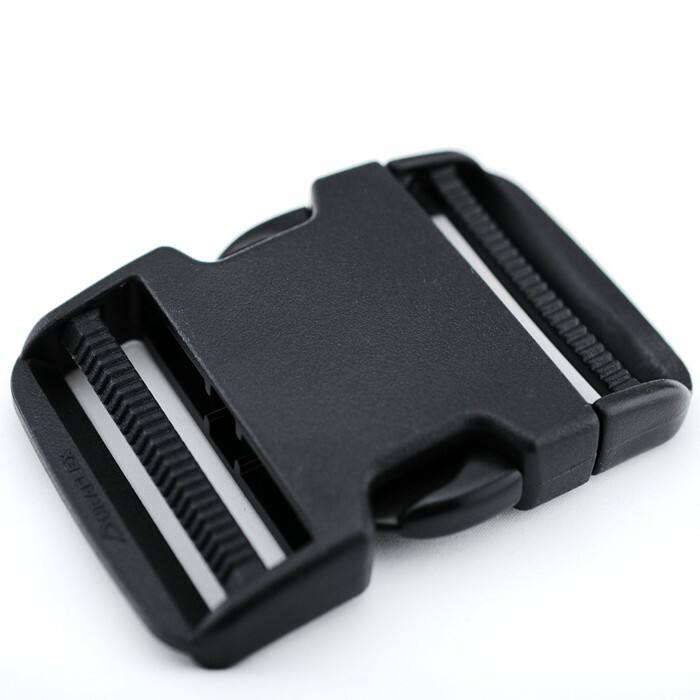 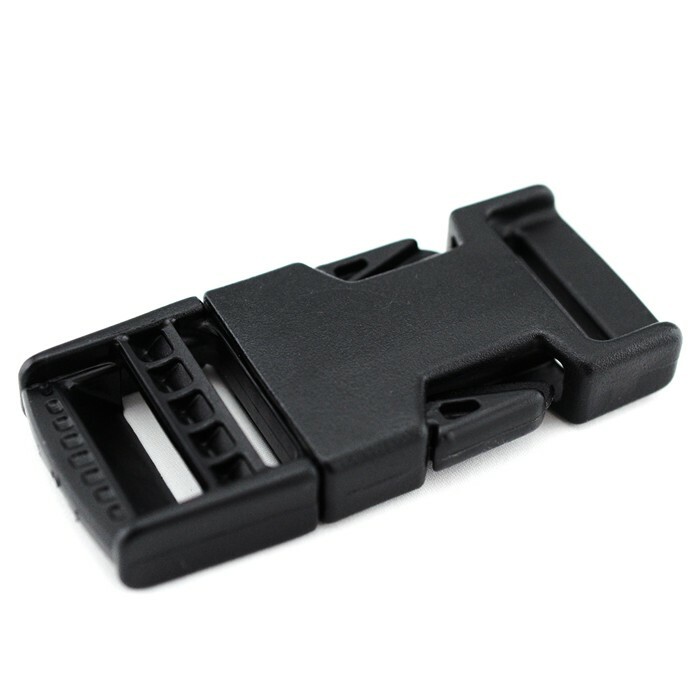 Lots of strength and a very smooth release action make this buckle a great choice for any side-release application.